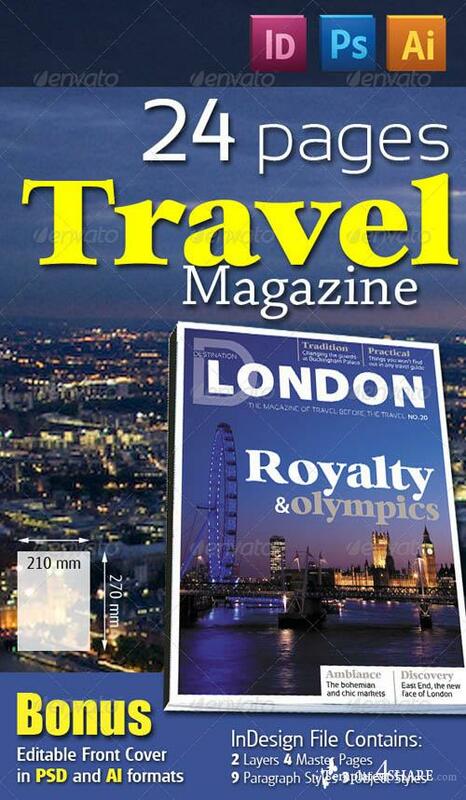 Here is a template for a travel magazine in which each issue is dealing with a single city or region. The item is CMYK ready for print file. The InDesign file was worked in CS5 .5 but there are also a CS4 and CS3 interchange files within the archive.